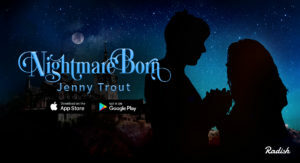 From time to time, I turn over the blog to a citizen of Trout Nation who’s written a book and wants to get their promo out there. Today we’ve got A.R. Davis, here to tell you about her book, The Beast, and to share some anxiety that debut authors can definitely relate to! My name is A. R. Davis and I love to write. I love to share stories with people, and I love making things up. I hope you’ll at least like one of my stories, if not all of them. My first book, The Beast, is coming out soon, and I’m not going to lie, I’m scared to death. I’m not scared of the criticism I’ll face or that people will pick up the book, dismiss it and get rid of it. I’m scared of the apathy. I’m scared that I’ll fail to convince people to even give me a shot. Those are the kinds of fears that keep me up some nights. I’m hoping that, if you’re reading this blog post, I can at least convince you to give me a shot. You can email me at writerardavis@gmail.com. My twitter is @writerardavis. I would love to hear from you, whether you love my book, hate my book, or haven’t even read it at all and have no wish to. I like getting messages. I’ll do my best to respond to them. I have a full-time job as well, so please understand I’m not ignoring you if I don’t get to you right away. I’m hoping to make this my full-time job one day, but until then, bills need to be paid. From his pocket, he procured a small wooden figurine of a monster wearing an emerald green cloak. He sported twisted black horns, and he hunched over as though ready to attack. His little mouth was open, exposing his jagged, white teeth. The girl could almost hear his roar. She shook her head slowly as she examined the figure. It had been a long time since her father told her a story she had not heard before. Her father’s stories were always special. They did not include the typical hero-rescues-princess trope that she grew tired of. They were usually about normal people doing extraordinary things for the greater good. When the girl grew up, she wanted to be one of those people. “This story is a bit different from the ones I’ve told you,” her father said. “Does it have a happy ending?” the girl asked quietly. The girl wanted to ask him what that meant, but he was already clearing his throat. He took a deep breath and began. Once upon a time, two kingdoms, the red and the white, were constantly at war. No one knew why it all began because the two sides had been fighting for so long. Death saturated the land and then drained it dry. Battle cries filled the air for days and echoed over the hills and rooftops. On the red side was a tyrannical captain who ordered his men to plow through the white villages and burn them to the ground. He smiled at the path of destruction he created; he loved the smell of burning skin and the taste of ash in his mouth. His palate could no longer appreciate the tastes of fine food. Instead, his teeth gnawed on the gritty black powder. He once had a life beyond this destruction—a normal life—but he could not remember what that was like, or if it was worth returning to. One day, he and his men were trying to cut down the trees in the white’s forest, but no matter how hard his men hit the trunks with their axes and no matter how many fires they lit, the trees would not come down. The captain insisted that they weren’t doing it properly, so he grabbed an axe and started chopping away at the nearest tree. The axe barely made a mark. The captain kept hitting it over and over, sweat coating his face, his muscles aching for some reprieve, but he could not cut down the tree. He turned around to face his men, to insist that the axe simply wasn’t sharp enough, but he found that he was alone. The forest seemed to darken at this knowledge, as though the sunlight had been sucked out of the world. “Where are you, you cowards?” the captain barked to disguise his own cowardice. He swiveled his head around in every direction in search of a flash of armor. Suddenly, there was a light so bright that the captain had to shield his face for a moment as it came closer to him. As swift as it had come, the light faded, and from it emerged a doe. She stepped toward him as though she had nothing to fear—not the smell of death on his skin, nor the gunpowder in his pouch. Slowly, the captain reached for his rifle. His men would love to dine on fresh venison, and he might even consider letting them have it when they returned to work. He aimed the rifle at the doe’s chest. In her large black eye, the captain could see a reflection of himself slowly distorting, changing as though he was made of clay. At that moment, the captain’s muscles burned. His stomach seemed to fill with gas until it came close to bursting, and he doubled over in pain. Sweat coated his whole body. His armor became too tight for him and he wanted nothing more than to shed it like a heavy skin. He could hear the fine bones in his hands cracking. The captain fell to his knees, gasping for air. He yanked off his helmet and tore at his armor with his long fingernails. The scraping of metal set his teeth on edge. His chest plate burst apart, followed by his leggings. Finally, it stopped. He took in deep, rasping breaths. His undergarments lay in tatters around him. When he looked up to see the deer, he saw a woman in its place. This was no ordinary woman. Her skin was an olive green, her hair flowed wildly around her and looked to be made of twigs. Thick vines covered her body, accentuated by lush flowers in different shapes and colors. When she stepped forward, roots pushed up from the ground and spiraled into elaborate patterns. The captain had heard enough stories and legends to recognize this woman: she was known as the forest fairy, Tellervo. She was staring down at him with such a rage that his heart filled with fear. Tellervo gathered the dew drops from the grass and turned them into a mirror. She held it up for the captain to see. “Look at yourself,” she commanded. The captain reluctantly raised his head. To his horror, his face was no longer that of the man he once knew. Fur covered his face, black bone horns grew out of his skull and twisted to the sky, and when he reached up to touch his cheek, his hands had black claws like thorns. “What have you done?” The captain cried. The captain gave a booming roar. He lunged at Tellervo and sank his claws into her flesh, tearing it apart. He bit into the top of her head and chewed on her twig-like hair. The captain let it fall from his mouth, but all that came out was dirt. He discovered he was only ravaging the ground. For the first time since he was a small boy, he burst into tears, covering his ugly face and burying his mouth back into the ground. Tellervo’s hand rested on his hunched back and he jerked away from it; her touch burned through the muscles and seemed to infect his bones. “Yes, yes, anything!” The monster folded his hands together. With that, Tellervo dissipated into the slowly rolling fog, leaving the Beast with hopeless curdling in his belly. For days, the Beast wandered around the forest and hid from travelers and merchants. He buried himself in the mud to sleep. How was he going to complete his deeds? The fairy was torturing him. One afternoon, while he was trudging through the forest, he stumbled upon a man lying very still in the middle of a clearing. The Beast recognized the uniform the man was wearing; he was a soldier for the white side. The man’s breathing was shallow. Blood pooled around him. 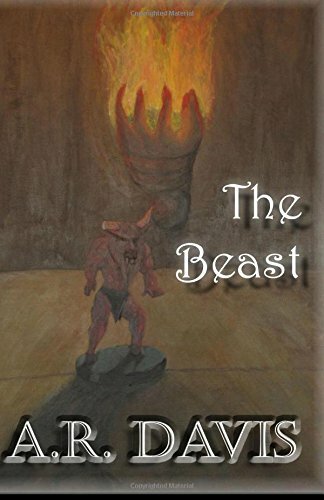 The Beast carefully stepped closer until he was standing over the man. “Who are you?” the man asked in a raspy voice. He was too preoccupied with thoughts of death to be afraid. “I will listen,” said the Beast. The man was too sad to go on. “Then there’s no real difference between us,” the man said, laughing bitterly. The Beast wrapped his large fingers around the man’s small hand. The Beast was crying now because he did not want the man to die. He had forgotten what loneliness felt like until this moment. The Beast closed his eyes and looked away. After a long time, the man’s shallow breathing stopped and his hand went limp, but the Beast could not let go. At night, the Beast took the time to bury the man. He wished desperately that he had learned his name. The Beast stayed at the gravesite for three days before moving on. He encountered a woman whose clothes hung like rags from her body. The woman had bald patches on her scalp, and what little hair she had was very thin and limp. She was scrounging around for something to eat. When she saw the Beast, she took a hesitant step back. “Have you come to kill me, monster?” Her voice quivered. The woman still looked distrustful, but the Beast was patient. The Beast hunted for her and brought her back some deer meat. He waited while she cooked and ate. “I don’t know how to do that,” the Beast admitted. The Beast looked deep into her berry blue eyes, and suddenly, she was beautiful. In his eyes, her hair seemed to be restored to its full, black beauty. Her dirty skin was smooth and clean, and her smile was like a tiny light in a dark room. “You are beautiful,” the Beast said, and she believed him. She reached up to kiss his cheek and the Beast felt warmth surge through his muscles. Then, just as she had appeared in his life, she vanished, and again he wished he had learned her name. Days and months passed, and as they did, the Beast encountered more strangers along the way who were in desperate need of his help. Some had reservations about his appearance, but once they recovered from their initial the shock, they found they could care less what he looked like. Much like the dying white soldier, they all agreed that they were quite happy that he was there for them. Even so, the Beast found that he could not enter any of the towns. He made the forest his home, quietly tucking himself away, but did not hide himself so completely that none could find him if they needed him. On the eve of his final deed, Tellervo came to him, glowing under the moonlight. There was a smile on her green lips. “And what will I be then?” the Beast asked. In the morning, a crowd of people were anxiously awaiting the Beast’s appearance. He was completely overwhelmed by the crowd’s cries for help. The Beast listened patiently to all of their stories. When he was done, he studied their faces over and over; nameless faces that needed so much from him. But what would happen after this? Who would they turn to then? The crowd erupted into shocked whispers. With that, the Beast retreated into the gloom, away from the anguished cries. “Who will help us now?” he heard them shout. He heard them sob and it tore at his heart. The Beast found a lonely log to sit on. He couldn’t believe how weary he felt. Tellervo came to him once again. “What are you doing?” she asked. Tellervo could not understand these mixed emotions swirling through her, like thick clouds of pollen in the spring. “I will sit and wait with you,” she said. “That would be very nice,” said the Beast. So they sat and waited. People passed them by, but the Beast insisted that it was not enough. Each time someone came, Tellervo would glance at the Beast, and her heart ached at his labored sigh. Not enough, he would insist. They sat quietly together and watched the sun as it came up and went down and then watched the moon glowing between the branches. Moss covered their legs, flies and insects crawled on their bodies. They remained unmoved. Eventually, the people took to helping each other, lending an ear or a kind word to those in need. Soon, the Beast was all but forgotten. However, the people would sometimes still whisper about him over a meal or a good drink. They would wonder about him, wonder if he was still sitting there, waiting. It was as though he were a great flame in their time of darkness, lighting the way to a new era of prosperity. They never found the answer, and many years later, when they went to look for him, they could not find him. “Is that really the end?” the girl asked. “Indeed it is,” her father replied. Looks good! I’ll order the paperback later this week. Thanks for the heads up! Looks like I’ll be renewing my Kindle Unlimited within the next couple of weeks.